Most businesses are apprehensive about implementing a Transport Management Software. What they don’t realize is how it can positively impact ROI and business profit margins. Transport Management Software revolutionizes the entire process of supply chain management. It performs a number of functions such as carrier selection, determination of routes and rates. There are several misconceptions surrounding TMS, that it is too expensive to implement and it does not perform better than traditional systems. It is high time that these myths are busted and the benefits of implementing a TMS are realized. Transport Management Software helps to move consignment from the origin to the destination in an efficient and cost effective manner. 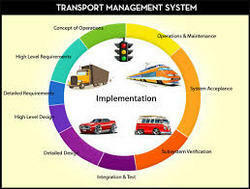 Transport Management Softwares are designed for all modes and also for intermodal transport. These systems offer myriad ways to save cost and add value to your product. If your business is planning to invest in a Transport Management Software, then here are a few benefits to encourage you to do exactly that. Transport Management Software provides reports and analytics that help you determine the impact of your business decisions. It helps you choose the most efficient and cost effective carrier so that the shipment reaches on time.This helps you save time and money as there is no need for customer service interference.Customers are happy and yield margins improve dramatically. Since most TMS softwares are web based, all documents are stored. These documents can be easily retrieved, hence there is no need to search through bulky files. This fosters better communication among the consignee, the shipper, the carrier, or a third party logistics provider. TMS saves time spent on actual freight management , which gives the opportunity to focus on warehouse management. Costly mistakes that occur due to entry errors are avoided and the time spent correcting them is saved. A Transport Management System that is integrated with a warehouse management system streamlines the process of supply chain management and brings about further savings. TMS implementation has to be backed by a dedicated team in order to realise the benefits of such a system. TMS provides greater organisational control, scale up as the business grows and live freight rates availability. TMS ensures that consignments reach customers on time.This gives your business the ability to better plan your inventory in hand. Managers can focus on how to better forecast inventory and reduce inventory holding costs. Transport Management Software enables automated carrier selection based on low cost and fastest transportation time.TMS captures all details with respect to carriers including their rates, tracking details and number of transactions on a daily basis. A TMS gives you a complete picture of all shipments and also enables your business to send tracking information to your customers. A Transport Management Software allow you to accept invoices from carriers electronically. These can then compared against the quoted price, so that you only pay the amount mentioned in the contract. TMS helps save time as invoices need not be checked manually and also minimizes errors in payments.